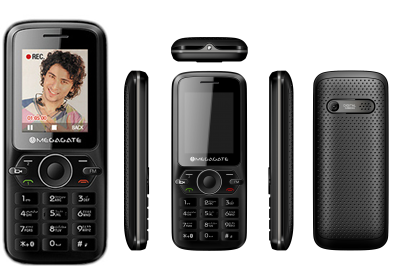 MegaGate movie Maker is a 1.77-inches QVGA screen with Dual Band and Digital Camera with video Recording. Its has many other features like MP3, MIDI, WAV, Vibration Moreover it has capability of storing 500 Phone Book contact through GPRS you can use Facebook, Twitter, MSN, Yahoo and the very important feature is LED torch and Wireless FM with recording. Get all above features in very Low Price.